Basement windows – what are they and how much do they cost? Basement windows are usually installed in homes to provide the same function as a normal window: to provide ample amount of light for the basement while keeping the elements from entering your home. These windows are also refred to as egress windows. Traditional basement windows are made from wood or metal frames, which can easily rot and rust. These type of frames are not suitable materials for a window that is continuously exposed to elements such as soil and water. Vinyl is a durable material that can withstand the elements, thus, makes a good basement window. Vinyl is also resistant to termites. Whether you are planning to install new windows or are looking for a replacement, there are factors that you need to consider. An important factor is the durability of the whole window. As stated, vinyl is a suitable material because it resists corrosion and rotting. For basement windows, you would want it to be strong enough to withstand overexposure to humidity, heat, rain and soil. Another factor is efficiency. You need a basement window that would allow great amount of sunlight to enter the basement to avoid growth of molds. Effective windows should also be energy efficient, maintaining an almost constant temperature inside the basement. Consider also the size of the window. A large frame allows effective ventilation, which may also lessen the dampness of the area. A large frame is also versatile when passing objects from the basement to the outside of the house. While you would want an easy-to-operate window, you should not forget to install locks for optimum security of your family and home. Another consideration is cost. You have to assess whether the windows are efficient, both in performance and in cost. You would not want an overly expensive window that functions just the same as a bargain. Decide on the necessary features and then search for brands that will cater these features and then compare prices. If money is not an issue, then you might want to get for basement windows that are highly functional and grand. You can also be practical by choosing a simple design yet is effectively manufactured. There are several window types that you can use as a basement window. Double hung windows, awnings and slider windows may allow sufficient airflow around the area. Double hung windows and sliders may occupy larger wall space compared to awning windows. 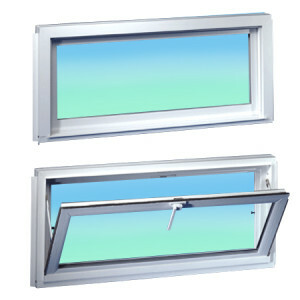 Hopper and picture windows work great for small spaces but they may not provide enough air circulation. Some of the stores or manufacturers that specialize on basement windows are the Basement Environment Specialists/ Basement Systems and NewSouth Windows. Basement Systems offers EverLast basement windows that are entirely made of vinyl. Their windows can be installed with screens and are easy to operate. Glasses are double thermo-pane so light passes through effectively. Chapman Windows and Doors offers basement windows in different types. Their glasses can be decorative and are guarded with an innovation called SAFE-GARD, a laminate glass that can withstand extreme forces (mechanical, elements) without shattering. Both manufacturers offer environment-conscious products so you can reduce energy bills and help lessen environmental impact. See How Much You Can Save On Simonton Windows Today! Prices of windows and related products for Basement Windows differ according to type, color, size, and features. Thus, it is necessary to compare the prices of various basement window brands and to put the products side by side in order to see the pros and cons. When it comes to warranty, different brands offer different warranties depending on the model, as most of them give their products a certain length of warranty years based on materials and confidence. Therefore, the price of the end product you will get is dependent on your careful selection and inspection.